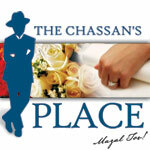 From the engagement ring to wedding bands to beautiful jewelry gifts for all occasions, ChossonKallah.com makes jewelry shopping simple and pleasurable. Browse through the Jewelers below to find the perfect creation to suit your taste and budget. 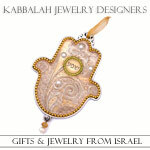 Kabbalah Jewelry Designers is proud to present to you the largest online store for Jewish Gifts & Jewelry. Our wide selection includes some 1000 unique, distinguished, quality items, designed and made by the best Kabbalah and Judaica designers in Israel. With warm customer service and quality stylish jewelry at Kahn Jewelers, it is no wonder that our customers keep coming back for more. On the most important day of her life, she deserves nothing less than the best. At Kaylah Diamonds & Jewelry, finding the perfect engagement ring is an experience befitting the momentous occasion: the kallah and the chosson are treated to a full-service consultation, diamond selection, and setting selection in one pressure-free, hassle-free location.